A Grizzly Bear album is always full of drama. The sudden twists and turns. The noises off. 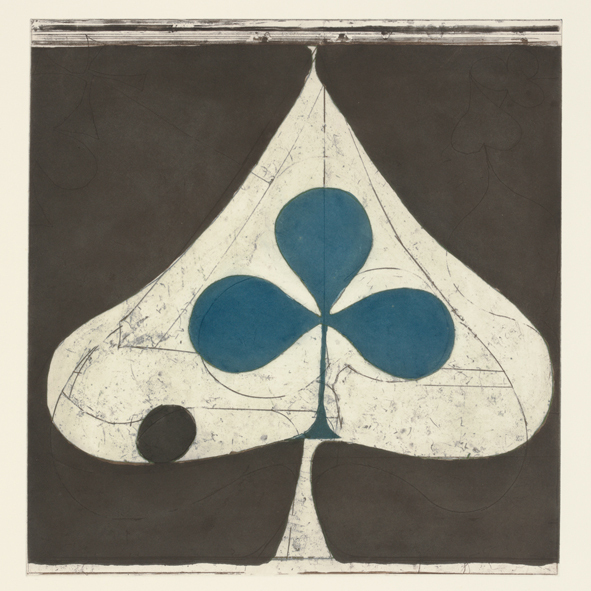 As new dramas go, the new Grizzly Bear album is a triumph. The first track, ‘Sleeping Ute’ (or should that be ‘Sleeping Oot’, the Scottish song), begins with a lovely series of arpeggios, each one building on the last. In classic Grizzly Bear style it reaches a crescendo and then ends calmly. The second song, ‘Speak in Rounds’ starts slowly, but soon picks up pace, and then bursts fully into life. ‘Yet Again’ is built around a wonderfully hummable chorus, but the song is packed full of drama. The only songs that slightly disappoint are ‘The Hunt’, which sounds like Grizzly Bear circa 2005 and which, now, doesn’t quite suit them, and ‘A Simple Answer’, which begins with four minutes of pounding drums. At the end, when the drumming stops and the song calms down it generates more a sense of relief than the usual feeling of Grizzly Bear transcendence. One of the reasons why the album feels so full is that it’s clearly a collective effort. On more than one occasion what seems like Daniel Rossen song is finished and changed by Ed Droste. And, whatever about the drumming on ‘A Simple Answer’, Christopher Bear (no relation) and Chris Taylor are completely indispensable to the sound. On their last album, Veckatimest, there was a nagging feeling that Grizzly Bear were showing off. It was a little overacted. Shields is hardly underplayed, but it doesn’t feel quite so overwrought. This is the work of a set of great musicians at the peak of their creativity. Author! Author! 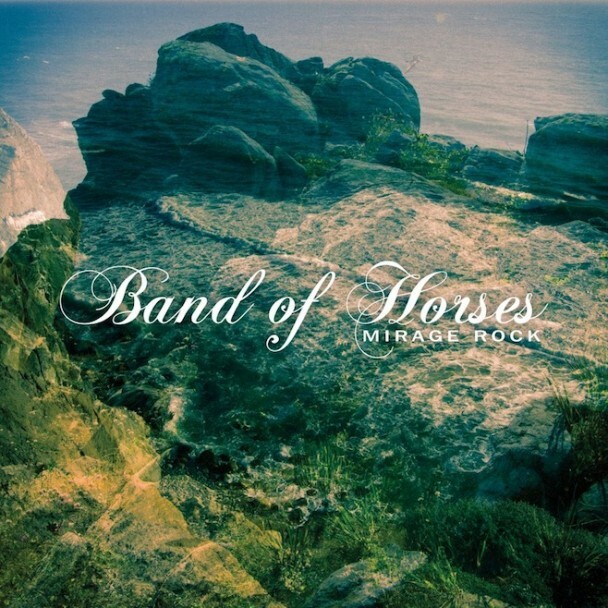 Over the course of three albums Band of Horses perfected the quick/slow method of song-writing. For every song where the guitars were thrashed out of sight, and there were plenty of them, there was another song that showed the boys were actually, like, really sensitive. They hit this formula big time on their third album, Infinite Arms. It was scarcely listenable. Pedestrian. Hard work. Ho hum. Now, with the record company promoting them in the hope of stadium-level super-stardom, you’d expect the new album to be even ‘ho-er’ and ‘hum-er’. Right? Right, but you’d be wrong. There are only a couple of outright thrash-y songs on the new album, including the pre-release single, ‘Knock Knock’, which is, well, ho hum – at best. Instead, the guys have embraced their inner Neil Young, grasped their Eagles totem, listened to their old America albums on vinyl, and written a really nice set of songs. The record company will be slightly disappointed. There are no out-and-out crowd pleasers here. The savvy music critics will absolutely hate it. After all, with this album Band of Horses are not so much pushing the musical envelope as rolling it into the shape of one big, arena-sized spliff. But guess what? The boys sound as if they actually enjoyed recording these songs, rather than filling them in like some colour-by-numbers book. Another album the same would probably be too much to stomach. But, you know, by not replicating the same predictable quick/slow formula as before, the guys have delivered a very listenable product and in its own way one that’s slightly subversive too. On Fionn Regan’s previous album, 100 Acres of Sycamore, many of the songs were modular. One basic block of often complex music was repeated usually twice, sometimes three times. The result was that the songs often built up in intensity, which was then released only to build up again. The effect was mesmerising, notably in ‘The Lake District’ with its ending, “Marry Me, In a Registry, Like A Foreign Film Scene”. 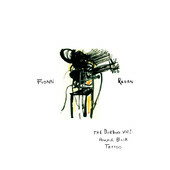 Like 100 Acres, Fionn Regan’s new album, The Bunkhouse Vol. 1: Anchor Black Tattoo, is no exercise in verse, chorus, verse, chorus. But here, the structure is more like his earliest work. Stream of consciousness songs. They just sort of go places. Nice-sounding places to be sure. But there’s no systematic build up and release of tension. And The Bunkhouse doesn’t sound like 100 Acres either. The innovation there was the gentle orchestration. Understated, but transformative. Here, it’s just Fionn and an acoustic guitar. The beauty of 100 Acres (a big EHL) was how the orchestration accentuated the melodies. They were lovely songs and they were made to sound beautiful. On The Bunkhouse there are songs that probably could have been made to sound like 100 Acres, but here they’re presented more plainly. A good example is ‘Mizen to Malin’. On 100 Acres this would have been a dramatic piece. You’d really feel the waves “doubling in size”. Here, perhaps because 100 Acres set the precedent, the sound feels slightly lonely. Yet what both albums, and all Fionn Regan albums, have in common are the lyrics. Along with people like Sam Beam, Kurt Wagner and Conor O’Brien, Fionn Regan is one of the best lyricists around. He can tell a poignant story, “From the sticks to the big smoke, She looked out the window barely spoke” on Midnight Ferry Crossing. He also does impressionism. ‘The wind it blew the slates off, Your prayers float through the foxglove, Grip the iron bedpost quickly’. This is The Bunkhouse Vol. 1. With luck, Vol. 2 will follow quickly. All artists have to evolve. That was the problem with this year’s Beach House album. It sounded exactly like their last album, which was great. But, if they don’t move on next time, then we’ll lose interest. The greatest artists never stop evolving. Dylan being the archetypal musical shapeshifter and with a new manifestation soon to come. Some of the greatest artists develop split personalities, with two or more radically different musical styles coexisting and with the artist moving seamlessly from one to another. Neil Young and Ryan Adams are perfect examples. For her part, Chan Marshall, aka Cat Power, has already evolved. The essential indieness of the early recordings bears little relation to the mature Delta Blues of The Greatest or Jukebox. Like all good artists, she evolved in a way that suited her style, her best qualities. And it almost goes without saying, but for Cat Power the greatest asset is that voice. Deep. Irresistible. The choice of tracks on Jukebox and the dense, steamy style in which they were played emphasised her voice. Intimate. Four years on from Jukebox Cat Power has evolved again. But, oh dear. This is an evolution that wouldn’t survive a process of musical natural selection. Banks of synths. Skittery electronic percussion. A cold, industrial sound that counteracts that warm, enveloping voice. Maybe it’s the songs. This time they’re self-penned. Perhaps there are Delta Blues versions in the vaults that sound fantastic. If so, let’s hear them. But, more likely, they’re just not strong enough. And the production does them, and, more importantly, her, no favours. 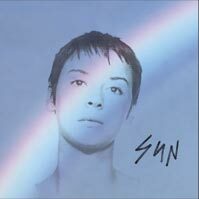 Cat Power has evolved into a 21st century Annie Lennox. Great voice. Shame about the sound. It’s a pity that the Olympics are unlikely to return to Atlanta, Chan Marshall’s hometown, anytime soon. If so, she’d be sure to have a job in the closing ceremony on top of some or other wooden contraption being wheeled around the stadium singing her heart out. It’d probably look great, but no-one would remember the song.